You can fly, no doubt about it. But no woman’s gonna get a license out of me. Go home, Miss Jones. You’ve failed. Jolene points out to Ida that, although it doesn’t say so specifically in the article, the program will only be open to white women. Then Abel notices an Asian woman in the photograph of the WASP. Hopeful once more, Ida proceeds to apply. Ida has never thought a great deal about the fact that she is light-skinned and that she might be able to “pass” for a white woman. When she sees a dark-skinned African-American woman turned away from the WASP application process immediately before her own interview she makes the life-altering decision to hide her African-American identity in order to have the chance to fly. She succeeds in being accepted into the WASP program. Most of the story is following Ida through her training, graduation and short home leave before her first Army assignment. Ida’s struggle to reconcile who she knows herself to be inside, separate from the skin color and gender that categorize her on the outside is torturous. Both her agony over a betrayal of her mother and family and her joy in doing what she feels she was born to do are palpable to the reader. I was personally disappointed to see the author leave that intense storyline to focus on the more mundane details of her post-graduation assignments. The story loses its fire and most of my interest for the final five chapters. By taking such a long break from Ida’s inner struggle the author doesn’t really have a choice other than to cobble together a lame ending to an incredible story. 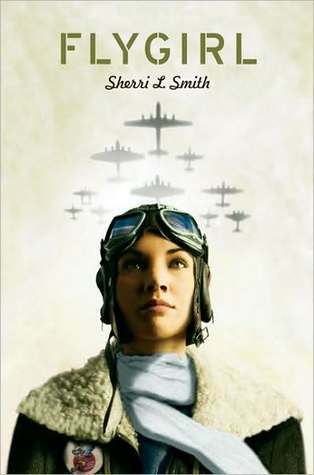 Those interested in historical figures like Amelia Earhart and Bessie Coleman and in the early days of female pilots will find much to enjoy in this story. Although the ending for Ida’s character is dissatisfying, the majority of her story is engrossing and well-written, as well as thought-provoking in areas of both race and gender discrimination.